Researchers from three land grant universities including Iowa State University, the University of Minnesota and South Dakota State University will be making presentations at the 14th Annual Drainage Research Forum on November 14th at the SDSU Regional Extension Center in Sioux Falls. The Drainage Research Forum provides all stakeholders involved in the drainage process with a close-up look at the research projects and water conservation programs being done by land grant universities and associations in the tri-state area who aim to maximize farm productivity while protecting water quality. Academics share their results, data and outlook on possible best-management practices. The forum’s agenda includes discussion on drainage districts, issues in drainage law, drainage design, sub-irrigation, saturated buffer research and an overview of South Dakota’s Regional Watershed Advisory Taskforce. 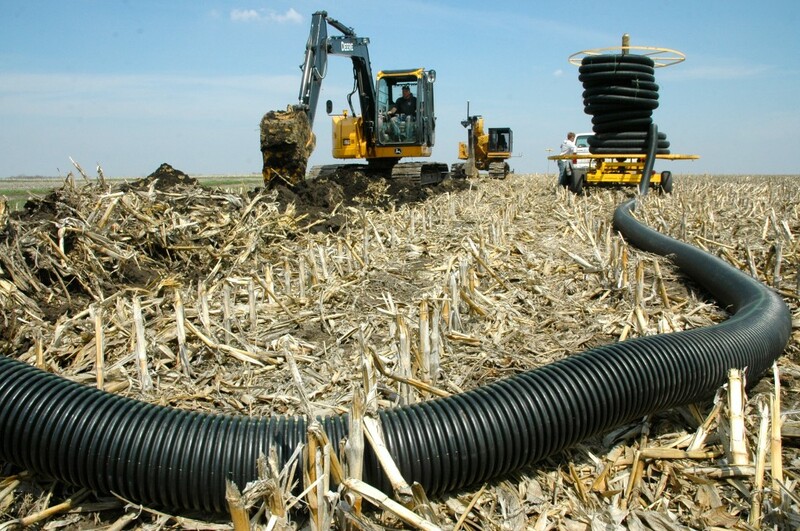 This forum is intended for anyone who is interested in or affected by drainage including but not limited to academics, conservationists, crop consultants, farmers, landowners, researchers and county commissioners. Pre-registration is $50. Registration the day of the event is $75. This entry was posted in News and tagged drainage, farm, forum, research, South Dakota, water.